While gear is an instrumental part of any photographer or videographers setup, it is important to remember that all the gear in the world will not make up for a lack of creative vision. The equipment we use is just a tool to help us achieve this vision. That being said, I wanted to write about a new piece of gear I've picked up last month that has helped simplify my life immensely, along with making my entire workflow more efficient and productive. I'm talking about the Western Digital My Passport Pro RAID hard drives. Data backup is an incredibly important task in the life of a creative. Not only do we need a secure place for our files to live, but we need to access them quickly and easily. Redunadncy is also crucial, as hard drive failure is inevitable. All hard drives fail at some point, its just a matter of when. Important files need to be backed up in multiple locations. Enter the Western Digital My Passport Pro RAID drives. What I like most about these drives is that they are actually two drives in one, configured in a RAID setup. RAID stands for Redundant Array of Independent Disks (thats quite a mouthful! ), which essentially lets you configure your drives a few different ways. The Passport Pro allows you to configure the drives into a RAID 0 or RAID 1 setup. If that all sounds confusing, here is a basic description of each configuration. RAID 0: RAID 0 allows you to store smaller parts of your data (photos, videos, music) across 2 or more hard drives. This allows your computer to read and write data faster, resulting in faster performance. The downside to this is that if one of the two or more drives fails, all your data is lost. RAID 1: RAID 1 allows you to store an exact copy of your data on two or more drives. The obvious benefit of this setup is that if one of your drives fails, your data is safe and sound on your other drives. The downside to RAID 1 is that its not as fast as a RAID 0 setup. Another caveat is that you are only getting half of the drive space as a RAID 0 array, since your data is essentially doubled. Each setup has pros and cons which you will need to weigh for yourself depending on your needs. I have purchased two of the 2TB drives, one for photography projects and another for video, with each set up in a RAID 1 configuration. The fact that these drives have a true thunderbolt connection means that they are already capable of very nice read/write speeds. I was achieving very respectable speeds using the Blackmagic Disk Speed Test. Read/Write speeds using the 2TB My Passport Pro in a RAID 1 array. If I had chosen to set up the drives in RAID 0, the disk speed would be roughly doubled. SSD drives would be even faster! For my needs of editing 1080p video from the Canon C100 and Raw stills from the 5d mark 3, the speeds I am achieving with a RAID 1 setup are more than sufficient. For those shooting Raw video or 4K, something faster might be necessary. Ultimately, the peace of mind that comes from having my data completely backed up is a huge benefit! Another huge plus for these drives is the portability. 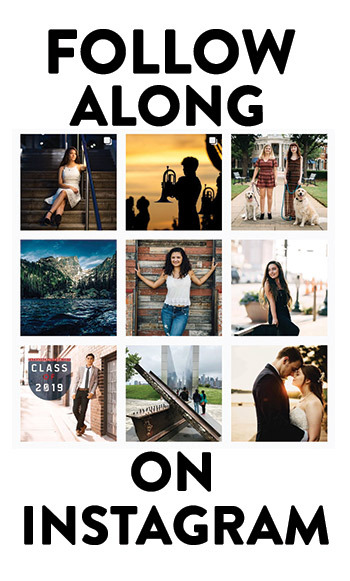 I have the ability to store my Lightroom Catalogs and Final Cut Pro X Libraries and work on them from my iMac at home, or take them on the road to get some editing done on a Macbook Air. Already these drives have turned what would have been several wasted hours at a coffee shop into several hours of productivity! I do have one minor complaint with these drives, and that is the built in cable. On one hand, having a completely self contained drive setup without loose cables floating around your camera bag is a nice benefit, but if the cable ever fails, you'll have to get the entire thing replaced. Thankfully, the drives come with a 3-year warranty from Western Digital, so this almost becomes a non-issue! You'll just need to be careful not to be too rough on the cable when wrapping it to prevent wear and tear over time. The rear side of the drive, thunderbolt connector detached. 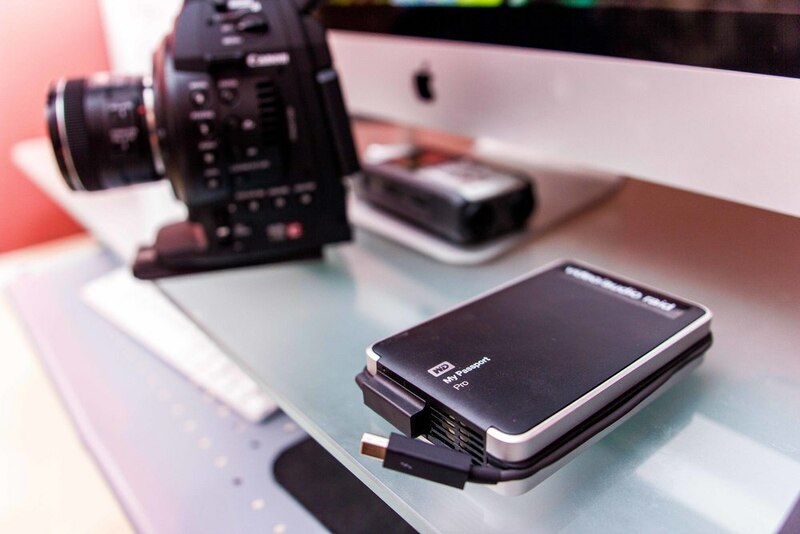 The drive features a self contained non-removable thunderbolt cable. All in all, I would highly recommend these hard drives to any photographer, videographer, or musician who need both excellent performance and reliability at a reasonable price. A quick word on ethics: I have neither been paid or sponsored to write this review. The views expressed in this review are entirely my opinion and have been formed through extensive use of the product reviewed.